The majority of trade in Annex A taxa was captive-produced or artificially propagated with key commodities exported including plant seeds, live plants and live reptiles. The vast majority of Annex A trade was for commercial purposes. Trade in Annex A species reported as pre-Convention involved ivory and timber carvings. The following section provides details of ivory carvings as this commodity is predominately pre-Convention rather than captive-produced. Commodities by group (re-)exported by EU Member States at quantities greater than 1000 units in 2014, ordered by quantity (as reported by (re-)exporters). Quantities have been rounded to whole numbers. Trade for scientific purposes (purpose ‘S’) is excluded. Over 8 000 ivory carvings (including trade reported as Elephantidae spp., Loxodonta africana and Elephas maximus) were exported by the EU in 2014, the majority for commercial purposes (80%). Nearly all trade in ivory carvings was reported as pre-Convention (95%) with the remainder reported as unknown source, wild-sourced or no source was specified. Asia was the main region of destination of exports of ivory carvings (65%); China was the top individual destination country, accounting for 56% of exports. (Re-)export of ivory carvings by EU Member States in 2014, by CITES region of destination and source (n=8059.5). Other includes source unknown and no source specified. 686 ivory carvings were (re-) exported to unknown countries. The main EU (re-)exporter of ivory carvings was the United Kingdom (73%). More than 99% of ivory carvings were re-exports; the origin of most re-exports was reported as unknown (89%). In addition to trade in ivory carvings reported in number of items, the (re-)export of 1745 kg of ivory carvings was also recorded, all of which was pre-Convention. Asia was the main region of destination of these exports (90%); with Japan and Vietnam principal destination markets (46% and 43% of all exports respectively). A total of 8064 carvings of Loxodonta africana (African elephant), Elephas maximus (Asian elephant), and Elephantidae spp. (combined) were (re-)exported by the EU in 2014 representing a 28% decrease over the quantities re-exported in 2013. 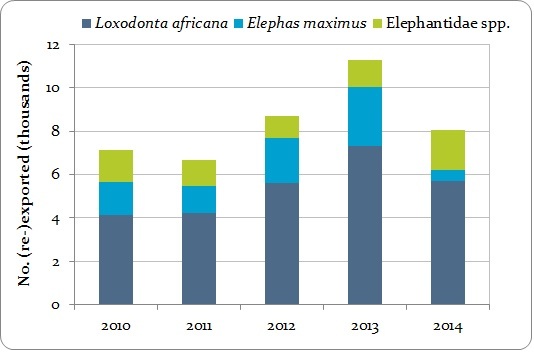 EU-reported (re-)exports of elephant carvings, by taxa, 2010-2014. Live reptiles were the only Annex A commodity (re-)exported at over 1 000 units by candidate countries. 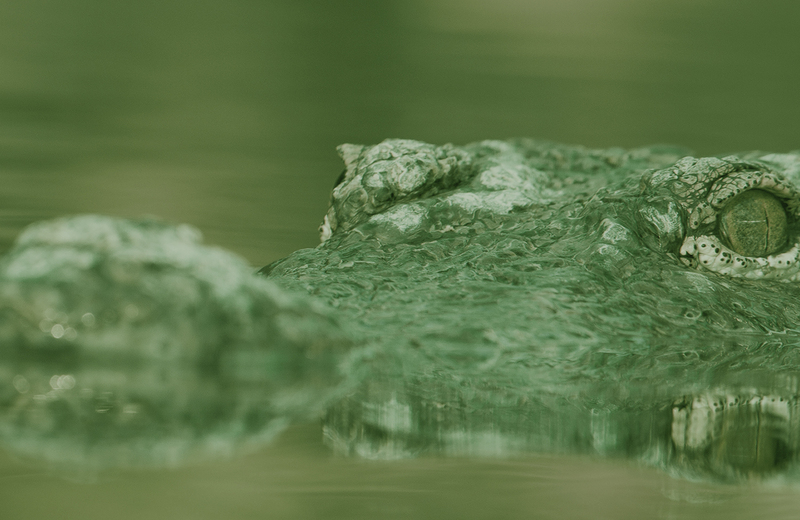 Candidate countries reported the export of 18 320 live reptiles in 2014, all of which were captive-bred for commercial purposes. Trade in Annex A live reptiles comprised Testudo graeca (Spur-thighed tortoise), T. hermanni (Hermann’s tortoise) and T. marginata (Marginated tortoise). FYR Macedonia was the main exporter of live reptiles (70%), one third of which were exported to Hong Kong, SAR.